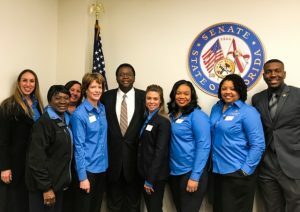 I just returned from a successful trip to Tallahassee, where nearly 40 of my Gulf Coast Health Care team members joined me for our annual FHCA Lobby Wednesday trip. The weather was perfect, with blue skies and a cool breeze enveloping the Rooftop as our team gathered at the FHCA headquarters for our evening briefing. 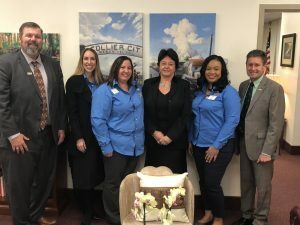 Representatives Rene Plasencia and Tom Leek took time to visit with our team members and offer their insight about the legislative process and why it’s invaluable for the people on the frontlines to come to Tallahassee. We all know this; it’s certainly been said before that our stories are impactful when it comes to helping legislators understand how funding and quality go hand in hand. It never hurts, however, to hear it first hand from the people who are making those decisions. I’m proud of my team who spent Wednesday meeting with their legislators, visiting with legislative aides and even focusing in on specific lawmakers who are new to the process and need to be better informed. 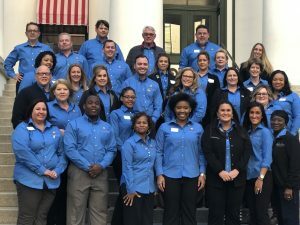 Those who were recently elected don’t know the history about Florida’s staffing standards, the series of Medicaid cuts our profession underwent and the quality strides our centers have made over the last several years. They may not be familiar with the 2014 reforms to our Certificate of Need laws that have resulted in a balanced system that works well to ensure nursing centers are built in the areas where they’re needed most, and what it could mean to our sector should those laws be repealed. There are a number of Lobby Wednesdays planned for this session, and I am encouraged by how many of our members have signed up to attend. For those of you unable to travel to Tallahassee, you can still make a difference. Right now, we’re asking your help with getting your residents to send letters, sign petitions, make a short video or create posters and take photos that we can use to share with legislators. Legislators listen to the people living in their districts, and the residents in your center can help us tell lawmakers just how important that funding is to their quality care and quality of life. You can learn more and participate in this Resident Grassroots Campaign by clicking here. We are nearing the halfway point of the 2019 session and there’s still a long road ahead. Thank you for all you’re doing to make a difference! 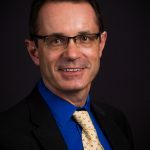 Alex Terentev is President of Florida Health Care Association and Director of Operations at Gulf Coast Health Care. FHCA Pulse is a blog of the Florida Health Care Association, P.O. Box 1459, Tallahassee, FL 32302-1459. To contact FHCA, call (850) 224-3907. EDITORIAL: To submit information, guest articles, press releases, etc., contact Kristen Knapp, APR, Director of Communications, at (850) 224-3907 or via e-mail at [email protected] Fax information to (850) 681-2075 and include your name, telephone number, and e-mail address. All articles and advertising are subject to editorial review.